I'm so excited about our Co-Hop today! 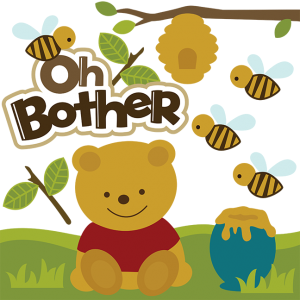 tag file called "Tags and Backgrounds"
and added the png file of the bear and grass. I added a white panel to stamp my sentiment on. 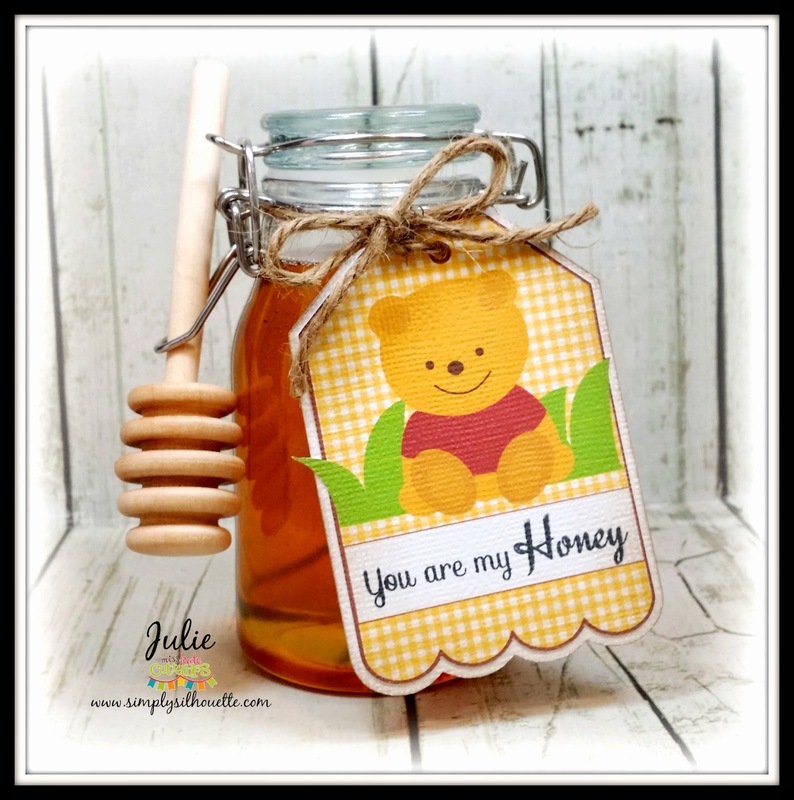 on a jar of honey with some jute. I hope you have enjoyed my project for today's hop! Blog Candy is for Scrappy Mom's. There will be a new prize for each day of the hop! comment on each project each day. made for their Co-Hop posts today! Very cute! I love this idea especially for a baby shower!! So super cute Julie...love them!!! Sweet. 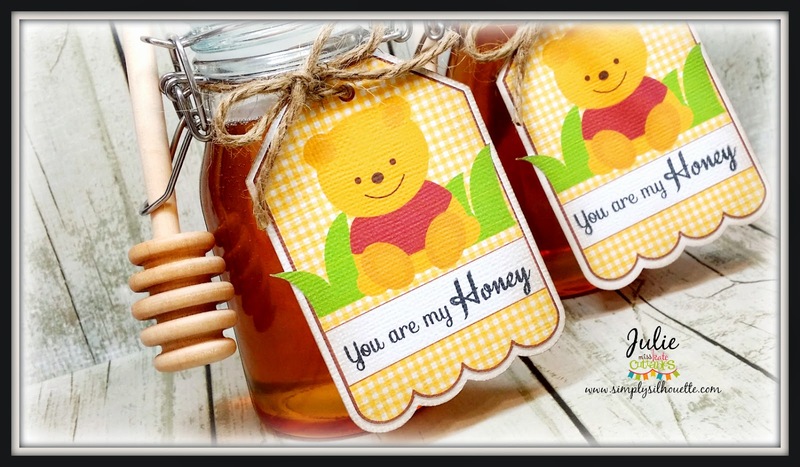 Pooh & honey go together well. I posted a Lemon Label jar project that I inked the label and then made homemade lemonade for in the mason jar. Such a cute idea. I love the tag. Not yet Gwen... I'm still scared..LOL! what a cute little tag! This is so sweet (literally and figuratively), Julie!! 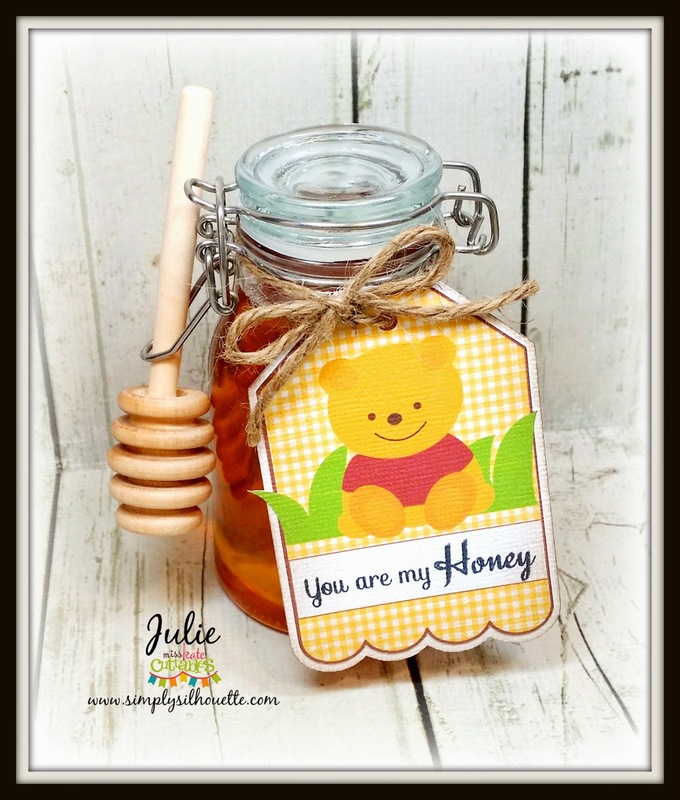 Your lovely little tags are just perfect for the little jars of honey. What a super gift idea!! I love that you did a PNC. It looks adorable. What a thoughtful "sweet" gift. Cute project! The honey dipper is a great idea! 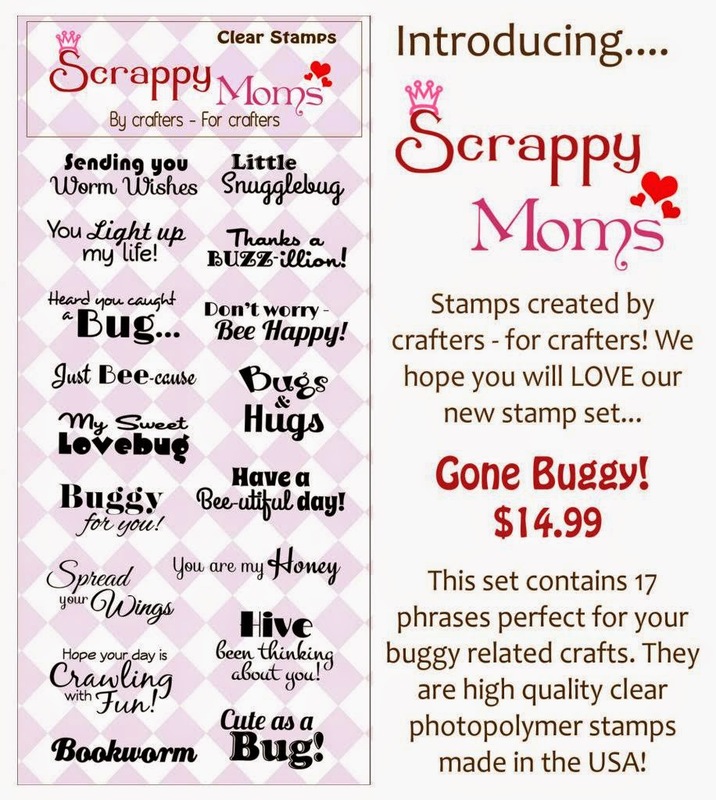 I love the Sentiment stamp set, it is so cute and versatile. Your creativity makes an amazingly cute gift. Very cute--this is my fave project! What a cute little gift tag! Love it! This tag is as cute as can be!! Our neighbors started raising honey bees this spring, so will have to make one for them. Thank you for the inspiration!! Such a cute tag. I love that cuddly bear. Cute tag. Just bought the SVG to make a card for my sister. Oh, I love "Poohbear". He is so cute. Very cute tag. Love it! Love this print and cut set. Super cute gifts. Love it! It turned out beautifully! I am a sucker for anything Pooh Bear!! Love, love the tag and what a great gift to give someone!!! I never think to pring the PNG file--gotta try that more often. Thanks for sharing and for the inspiration!!! How fun!! Love the added tag to the honey jar!! Just adorable!! This is such a cute idea. Such a honey sweet project! so cute! always had a soft spot for Pooh!! !